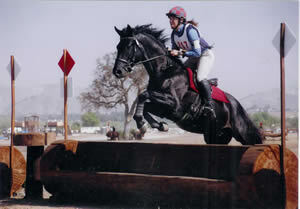 Eventing or Horse Trials is an English equestrian event, referred to as the triathlon of equestrian sports comprising of three phases held over three days—dressage, cross-country, and show jumping.Eventing is one of the fastest growing equestrian pursuits in the world – and one in which riders of all ages and abilities can compete. A Horse Trial takes place over one, two or three days, and involves three distinct phases or tests – with varying degrees of difficulty, depending on the competitive level. Taken as a whole, these phases portray the ability, versatility and preparedness of the horse and rider. Developed from cavalry competitions during the early 1900s, Eventing is the ultimate challenge for horse and rider, testing their partnership and athletic prowess in three diverse and demanding disciplines. Rarely in the world of sport are athletes called upon to muster the combination of strength and artistry demanded by dressage. 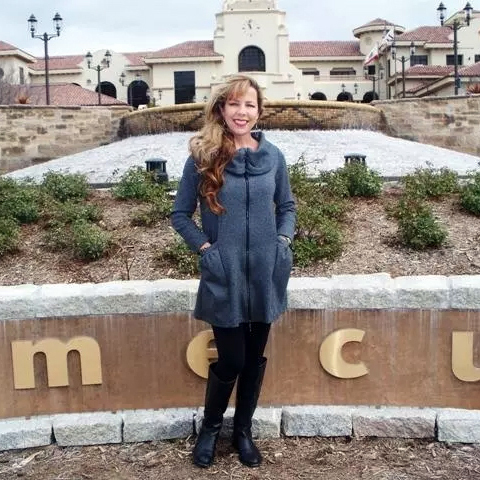 Requiring the power and precision of gymnastics, and the grace and subtlety of ballet, dressage challenges mental preparation as well as physical prowess. While once an activity of royalty, today dressage has evolved into a discipline and competitive sport accessible to all horses and riders. 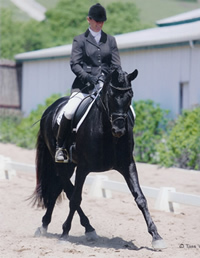 Dressage (a French term meaning “training”) is a path and destination of competitive horse training, with competitions held at all levels from amateur to Olympic. Its fundamental purpose is to develop, through standardized progressive training methods, a horse’s natural athletic ability and willingness to perform, thereby maximizing its potential as a riding horse. At the peak of a dressage horse’s gymnastic development, it can smoothly respond to a skilled rider’s minimal aids by performing the requested movement while remaining relaxed and appearing effortless. For this reason, dressage is occasionally referred to as “Horse Ballet.” Although the discipline has its roots in classical Greek horsemanship, dressage was first recognized as an important equestrian pursuit during the Renaissance in Western Europe. The great European riding masters of that period developed a sequential training system that has changed little since then and is still considered the basis of modern dressage. 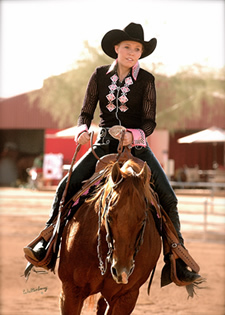 Ever dreamed of riding a finished reining horse or working cow horse? Just what is a reining or cow horse? 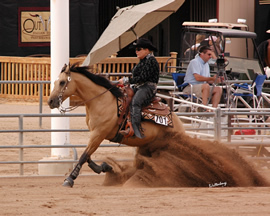 Riders usually select quarter horses as their mounts, but Morgans, Paints, Appaloosas and Arabians can also be used. A good working cow horse should be between 14.2 and 15.1 hands for optimal performance. There are three events in the reined (working) cow horse events: reining, herd work and fence work. You begin by working a cow in the herd work. Quietly walk into a herd and move one cow out, and work that cow side to side, preventing it from getting back into the herd. You can work as many as three cows, one at a time, showing your ability to control the cow. You then run a reining pattern that includes loping big fast circles and small slow circles on each lead, rundowns with sliding stops, spins to each direction, lead changes in each direction and backing. Then comes the fence work. With only one cow, you will then control the cow on the short end of the arena from side to side. Allow the cow to run down the long side of the arena against the fence. Pass the cow, cut it off and turn it around. Make the cow run back down the fence in the opposite direction. Pass and cut off the cow once more. Allow the cow to move into the center of the arena and move it in a small circle in one direction and then the other.